Choosing summer activities for children can be fun but stressful for some separated or divorced parents, especially if the cost of the activity is an issue and the other parent refuses to help with the costs. While parents may expect to share the costs of their children’s extracurricular activities, a parent does not have to assist under all circumstances. For some parents, the cost of a child’s activity may be calculated into the amount a parent is ordered to pay in child support. During the divorce proceedings or other proceedings dealing with the support of the child, the parents can present the court with information about the child’s extracurricular activities. When this information is presented to the court, the judge makes a decision on whether the activity is needed and whether the costs of the activity are reasonable. 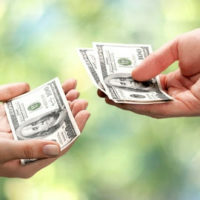 Once the court decides that the activity is needed and the cost is reasonable, the court can order both parents to pay a share of the costs of the activity. However, child support may not account for the cost of extra activities that a parent may want to enroll a child in over the summer break, especially if the activity is not a regular activity. In these instances, the parents can come together and agree to pay for the activity. If one parent refuses to pay for an extracurricular activity, and the activity is not court ordered, then the other parent can do little to force the other parent to pay for the activity. Going back to court to force payment may cost more than paying for the activity alone. It is best to make a decision on whether or not to go back to court after discussing the issue with an experienced family law attorney. If the cost of the extracurricular activity is recurring, for instance attendance to an annual summer sports tournament or dance competition, going back to court may be a good decision in order to get assistance with the cost in future years. Parents should also remember that the summer custody schedule may be different than the regular schedule during the school year. This means that over the summer the child could be living with the parent who does not have primary custody. The parent with primary custody should avoid making summer plans for the child without consulting the other parent. Scheduling a child for extended activities like summer camp or workshops during the other parent’s parenting time may only serve to cause conflict and the other parent would not likely assist in paying for the activity. If you are worried about paying for your child’s extracurricular activities and getting child support after divorce, you need to speak to an experienced family law attorney as soon as possible. For more information on how you can collect past due child support payments, contact our experienced child support lawyers in Media, Pennsylvania at Barbara Flum Stein & Associates serving Delaware County in all family law matters to schedule a consultation.